DELANO’S OPENING IN SEPTEMBER WILL DEBUT DELLA’S KITCHEN: Della’s Kitchen will be the new dining experience where “historic farmhouse meets urban kitchen” when Delano Las Vegas, formerly THEhotel at Mandalay Bay, opens Sept. 1. The menu will be centered around local and regional ingredients, including Delano’s own greenhouse supplying herbs for the desert-sustainable menu. Delano’s Fresh Juice Program will press fresh, organic fruits and farm-fresh vegetables daily utilizing the best-of-the-season produce. LAO SZE CHUAN SET TO OPEN SEPT. 12 AT THE PALMS: On Sept. 12, Chef Tony Hu’s Lao Sze Chuan will debut in Las Vegas at the Palms and be a reinvention of his popular Chicago-based restaurant. Lao Sze Chuan will feature an expansive menu of Sze Chuan cuisine as well as a selection of popular Mandarin, Cantonese, Hunan and Shanghai dishes. Lao Sze Chuan will open daily at 11 a.m. and serve dim sum from 11 a.m. to 4 p.m.
LAS VEGAS WILL GET ITS OWN WHITE CASTLE: White Castle, the famous slider hamburger chain that lined up so many people at the Las Vegas Foodie Fest that another truck had to be brought to town, is planning to put in an outlet inside the Best Western Plus Casino Royale Resort on the Strip with an anticipated November opening. White Castle owns and operates more than 400 restaurants in 12 states and the Las Vegas location is expected to be the first White Castle restaurant in the western United States. CAESARS PALACE HAS CELINE DION AND DR. OZ CANCELLATIONS: Dr. Mehmet Oz’s live show scheduled for Saturday, Sept. 6 at The Colosseum at Caesars Palace has been postponed due to scheduling conflicts and will be rescheduled. Ticket refunds are available.Celine Dion announced that she’s postponing her shows indefinitely because of health and family reasons with husband, René Angélil’s recovery from a cancerous tumor removed in December. In addition, she has been recovering from a throat condition. Her Las Vegas shows are cancelled until further notice as is her tour in Asia. 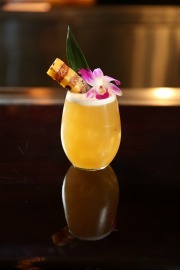 DELANO WILL DEBUT CURATED CRAFT COCKTAIL PROGRAM AT FRANKLIN: The new Delano Las Vegas will unveil an inspired cocktail program at its eclectic lobby lounge Franklin. Franklin will have live entertainment and a selection of whimsical small bites and appetizers. ‘JA-MAKIN’-ME LAUGH’ DEBUTS AT THE D LAS VEGAS: “Ja-Makin’-Me Laugh,” the ventriloquist comedy act starring Matilda and Patrick Murray, opened its new residency at the D downtown last week with daily performances at 2:30 p.m. The show features the comedy star and “Jamaica’s No. 1 Comedienne” Matilda along with her sidekick, Second City-trained ventriloquist Patrick Murray. Tickets are $19.95 and $29.95. HENDERSON HOLDS ANNUAL PACIFIC ISLANDER FESTIVAL: Henderson and the Las Vegas Hawaiian Civic Club will present the 24th Annual Prince Jonah Kuhio Ho’olaule’a Festival celebrating the Hawaiian and Pacific Islander culture all day Saturday and Sunday Sept. 13 and 14 starting at 10 a.m. at the Henderson Events Plaza. New attractions this year will include a career and health fair and an 808 car and truck show. Admission is complimentary. The festival’s cowboy tribute will include pony rides, a paniolo outfit and lei contest, ukulele music and a special performance by Melveen Leed, an award-winning Hawaiian and country singer who has performed at the Grand Ole Opry. ‘MEN OF THE STRIP’ VISIT THE D DOWNTOWN LABOR DAY WEEKEND: Male revue “Men of the Strip” will headline an exclusive engagement at the D downtown over Labor Day Weekend with four shows, Aug. 28-31 at 8:30 p.m. Tickets range from $43.99 to a $176 Queen’s Package. The “Men of the Strip” will make a special appearance on Wednesday, Aug. 27 at SlotZilla zipline inviting fans to book a ride with them from 3–5 p.m. The group will take over Third Street Stage for a sneak peek performance, followed by a free calendar signing for the first 1,000 attendees. ‘PANDA!’ AT THE PALAZZO® GETS ANOTHER EXTENSION THROUGH DEC. 28: Once again “PANDA!” has announced additional performance dates at The Palazzo this time through Dec. 28. The first-ever Chinese show with a Las Vegas residency combines high-flying acrobatics, mystifying martial arts, music, and dance. WET REPUBLIC AT MGM HOLDS FIRST NIGHTTIME PARTY: In honor of Mexican Independence Day, WET REPUBLIC at MGM will host “WET At Night,” the daylife destination’s first ever nighttime bash on Tuesday, Sept. 16 at 10:30 p.m. with turntable legend Tiësto. CALLE 13 BOOKED AT BROOKLYN BOWL AT THE LINQ: Calle 13 is a Puerto Rican band formed by stepbrothers René Pérez Joglar who calls himself Residente and Eduardo José Cabra Martínez who calls himself Visitante along with half-sister Ileana Cabra Joglar aka PG 13 will perform at the Brooklyn Bowl at The Linq on Sunday, Oct. 12 at 9 p.m. Advance General Admission tickets are $37.50. MAGGIE ROSE MAKES SECOND APPEARANCE AT SILVERTON: Maggie Rose is making her second appearance at the Silverton this time performing at the Veil Pavilion with her band on Friday, Sept. 26 at 8 p.m. She is the voice behind the hit singles “I Ain’t Your Mama” in 2012, “Better” in 2013 and has just released her third chart topping single “Looking Back Now” from her album “Cut To Impress.” Tickets are $20. 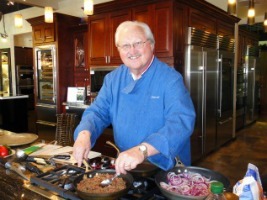 SYNDICATED ‘WINES DU JOUR’ SHOW CELEBRATES 13th ANNIVERSARY: “Wines Du Jour,” the nationally syndicated wine radio and television show featuring Chef Les Kincaid highlighting a winery and three of its wines weekly with an invited guest audience of around 35-plus guests at an upscale restaurant normally in Las Vegas, is celebrating its thirteenth year broadcasting on Thursday evening Sept. 4 from 7 to 8 p.m. Pacific time. 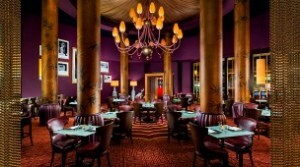 The anniversary show on Sept. 4 will be held at al Toro Ristorante on the lower level of The Palazzo Hotel. 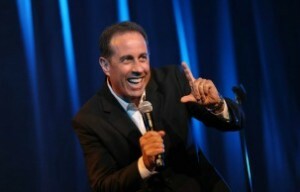 ENTERTAINMENT HIGHLIGHTS: Jerry Seinfeld, best known for his NBC hit show “Seinfeld,” will headline The Colosseum at Caesars Palace Sept. 5 and 6 at 7:30 p.m. His Internet show “Comedians in Cars Getting Coffee” that he launched in 2012 has more than 10 million streaming views. Tickets range from $82.50 to $165. Legendary icon Diana Ross will headline The Colosseum at Caesars Palace on Friday, Sept.19 at 7:30 p.m. with her “In the Name of Love” tour, which is a compilation of her most well-known and most beloved greatest hits. Tickets range from $49.50 to $99.50. The Sasha Benny Erik concert scheduled for Monday, Sept. 15 at Planet Hollywood has been canceled. The release of the group’s new product has been delayed, and the show date will be rescheduled upon completion of the new CD. The Lennon Sisters who appeared regularly on “The Lawrence Welk Show” will be performing at the Suncoast Sept. 13 and14. They made their TV debut on that show on Christmas Eve in 1955 when the youngest sister Janet was 9 years old. Tickets are from $29.95. GRAMMY Award-winning singer, songwriter and producer Miguel will headline a special performance at Hyde Bellagio Saturday, Aug. 30 and the band Sayers Sessions will kick off the Labor Day Weekend on Friday, Aug. 29. After singing, Miguel will join his girlfriend model Nazanin Mani as she celebrates her birthday at the fountain-side hotspot. On Friday, Aug. 29 at 9:30 p.m., Michael Grimm the season five winner of NBC’s “America’s Got Talent” will appear at Ravello Lounge inside the M Resort with his six-piece band. There is no cover charge but instead a two-drink minimum purchase and two-for-one Ciroc martinis will be offered from 9 p.m. until 2 a.m. Justin Shandor and his 12-piece band will present the “Ultimate Elvis Tribute Concert” at M Pavilion on Saturday, Aug. 30 at 7 p.m. Shandor has been named “The World’s Ultimate Elvis” by Graceland and winner of the Elvis Presley Enterprises Top Elvis Tribute Artist contest. Sammy Shore, known as “The Man Who Made Elvis Laugh,” will give a special cameo. Tickets start at $25. Chateau Nightclub & Rooftop will be party central Labor Day Weekend with celebrity hosts including hip-hop star Jeremih and well known radio show host Big Boy of Power 106 on Friday, Aug. 29. Admission is $20 for ladies and $30 for gentlemen. The Performing Arts Society of Nevada will present gifted pianist entertainer Wes Winters “From Liberace to Jerry Lee” on Sunday, Sept. 7 at 2 pm. at the Winchester Theater, 3130 McLeod Drive. Tickets are $15, call 702-658-6741, or $18 at the door. Smash Magazine’s Los Angeles-based quartet alternative rock group Shiny Toy Guns will appear on Saturday, Sept. 6 at Backstage Bar & Billiards on E. Fremont Street. Tickets are $16 in advance. Rí Rá Las Vegas Celebrates Arthur Guinness Sept. 25: In honor of Arthur Guinness’ birthday, Rí Rá Las Vegas at The Shoppes at Mandalay Place will once again celebrate ARTHUR’S DAY® with a toast to the creator of the Guinness® brand on Thursday, Sept. 25 starting at 5:30 p.m. The authentic Irish pub will offer a free pint of Guinness® to the first 100 guests who join Rí Rá in the toast at 5:59 p.m. In addition, Rí Rá will offer $5 Guinness® drafts, Guinness® black lagers and Guinness® foreign extra stouts from 5 to 11 p.m. At 8 p.m. Rí Rá will give away engraved, commemorative ARTHUR’S DAY® Guinness® glasses to the first 50 guests who order a beer from the pub’s Victorian bar, the Guinness® girls will give away various items during the celebration, and the store will offer 20 percent off all 2014 limited edition collectibles. At 8:45 p.m., Derek Warfield & the Young Wolfe Tones will perform traditional Irish music. KRISPY KREME CELEBRATES ‘TALK LIKE A PIRATE DAY’: Krispy Kreme will celebrate “Talk Like a Pirate Day” on Friday, Sept. 19, by offering free Original Glazed doughnuts to all pirate impersonators who visit one of the five Las Vegas Valley locations. Pirate enthusiasts who converse with a Krispy Kreme team member in “pirate speak” will receive a complimentary Original Glazed doughnut that day. Swashbucklers who don a full pirate costume with three or more themed-items will receive a dozen of the Original Glazed doughnuts for free. VEGAS NAY HOLDS ONE-DAY BEAUTY EVENT AT M RESORT: Naomi Giannopoulos, better known as Vegas Nay, is a self-taught makeup artist and No. 1 followed beauty blogger. With more than 20 years’ experience, she is the official beauty blogger for Cosmopolitan for Latinas. Launching the nationwide Stardust Tour will be a one-day beauty event held in the Luxurious Milan Ballroom at the M Resort from 11 a.m.-7 p.m. with free food and drinks available all day. 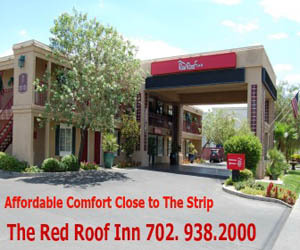 Tickets are $299 and VIP $499 with each including a valuable gift bag, call 702-858-1950 or visit www.vegasnay.com . QUICKIE NOTES: Primm Valley Casino Resorts located 40 minutes from Las Vegas will be painting the night sky in an array of color with fireworks in honor of Labor Day. The second year display will start at dusk on Sunday, Aug. 31. Recently opened Mercadito at Red Rock will start a new weekend Saturday and Sunday brunch service starting Saturday, Sept. 13 from 11:30 a.m.–3 p.m. Border Grill at Mandalay Bay will celebrate Mexican Independence Day with a premium Sauza Tequila multi-course dinner prepared by Executive Chef Chris Keating on Tuesday, Sept. 16 from 6:30-9 p.m. Tickets are $75, call 702-632-7403. Minus5 Ice Bar Monte Carlo will be offering all guests a complimentary house shot with entry to the Ice Bar in honor of Labor Day on Sept.1 during working hours of the bar. 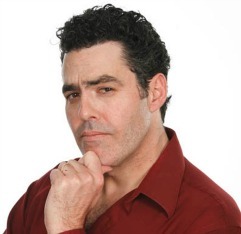 Comedian and ultimate man’s man Adam Carolla is set to host a launch party for his ready-to-drink cocktail, Mangria, at luxurious gentlemen’s club Crazy Horse III on Friday, Aug. 29. Carolla’s male-oriented cocktail is a spin on Sangria, and is available in White Peach & Pear and Signature Orange Sangria flavors. Double Barrel, the all-American roadhouse located at Monte Carlo’s newly developed open-air plaza, will feature a specialty “DB Cooler” cocktail for Labor Day Weekend, available Aug. 29–Sept. 1 for $14. On Friday night at 10:30 p.m., party goers can enjoy a high-energy live show by popular 80s cover band The Spazmatics. The fourth annual United Healthcare Children’s Foundation Teddy Bear 5K Run and 1 Mile Walk will take place at Tivoli Village on Saturday, Sept. 20 from 8-11 a.m. The following Saturday, Sept. 27 will be the Tivoli Village Art Walk hosted by Collective Souls Fine Art with the area being transformed into an art village from noon to 6 p.m. TREVI Italian Restaurant inside The Forum Shops at Caesars will celebrate National Pizza Month by offering a different specialty pizza for $10 each day throughout the month of October. White House Black Market (WHBM) has its first international partnership with Dress for Success® by launching a charitable initiative to collect black pants for women in need. Through Sept. 21, the company is accepting both new and gently worn black pants at all White House Black Market boutiques across the country, including the five stores in . An hour from Las Vegas, the Pahrump Fall Festival will be held at Petrack Park Sept. 25-28 with a parade, carnival rides, rodeo, food and drink, live music, and more than over a hundred vendors including 4-H booths.